Ahh, October… the days are still pretty warm, but the mornings are chilly and the leaves are just beginning to turn on the trees here. Multiple meanings give flexibility to this month’s challenge. Create costumes for your kids (or yourself!) to dress up for Halloween. Or something for the local theatre group to use? But dress up isn’t just for costumes! Dress yourself up! Make something extra special for a night on the town. 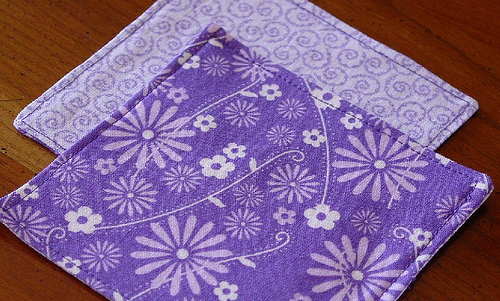 How about an apron, coaster set, some seasonally appropriate dish towels? Or a pretty bag for that bottle of wine? Make yourself a little stash of hostess gifts and you’ll be ready for any last minute gathering! 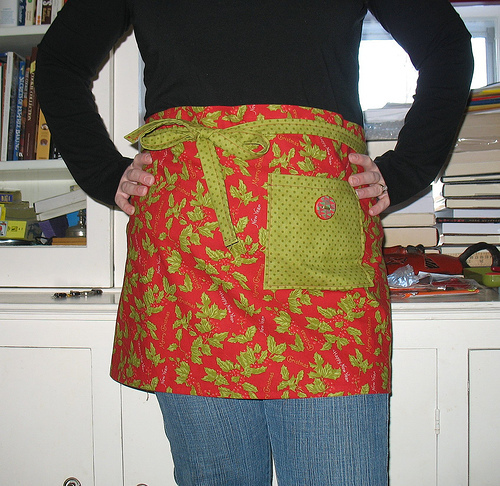 A cafe apron is quick and easy, one size fits most! Check out this one from lisaclarke on flickr. 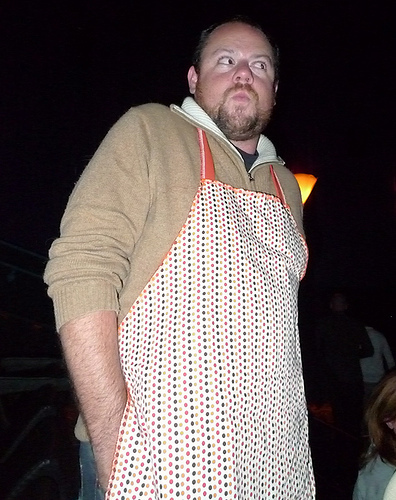 This one is from SanFranAnnie on flickr. Do you think he expected to be wearing something made from Heather Ross fabric? Coasters from cakersandco on flickr. 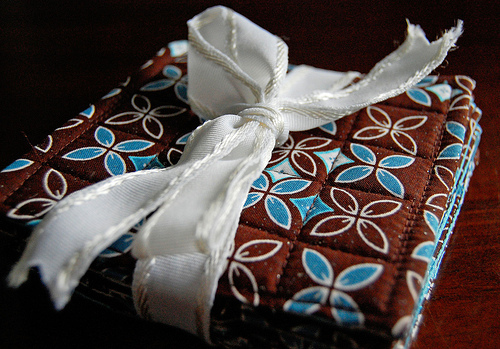 A pretty ribbon dresses up these coasters from Jamie on flickr. I hope you have fun with the challenges this month! Once you’re done creating, don’t forget to share your projects on our Runway!